Ying is Weiping Tong’s associate. 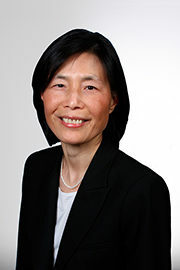 Ying focuses primarily on financial planning and insurance. She joined Integral in 2010. Prior to joining Integral Ying worked for over 20 years as a senior design engineer at Nortel Networks. Ying holds a Master’s degree electrical engineering from the Technical University of Nova Scotia (Dalhousie).